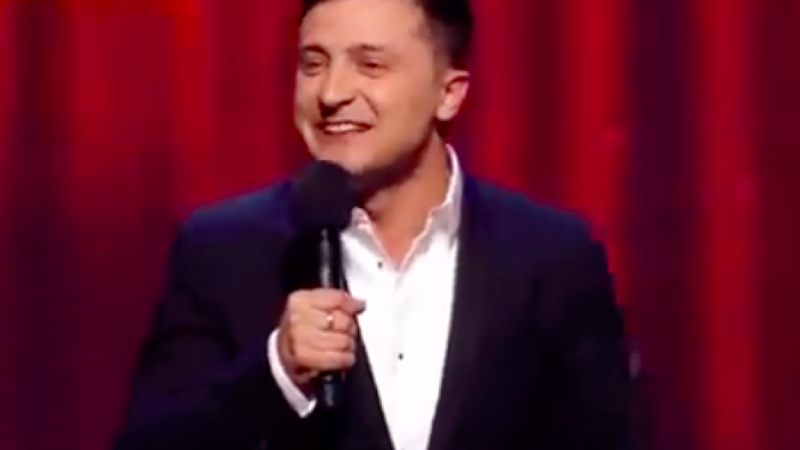 Ukranian Jewish comedian Volodymyr Zelenskiy. Credit: Screenshot. (April 1, 2019 / JNS) Despite a lack of political experience and policy specifics, Jewish comedian Volodymyr Zelenskiy won the first round of voting in Ukraine’s presidential election on Sunday, leading against incumbent President Petro Poroshenko, though he fell short of a majority ahead of the runoff on April 21. Zelenskiy, 41, got 30 percent support of the vote, while Poroshenko, 53, got 16 percent with more than 70 percent of the votes counted. Zelenskiy made fighting corruption no laughing matter and a focus of his campaign, which called for direct negotiations with Russia over ending the conflict in eastern Ukraine, in addition to promising a lifetime ban on holding public office for those convicted of corruption.